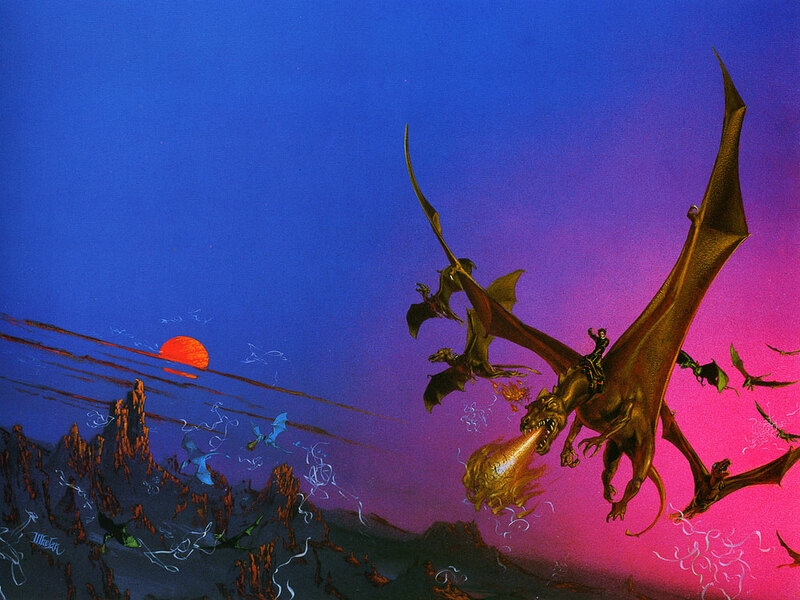 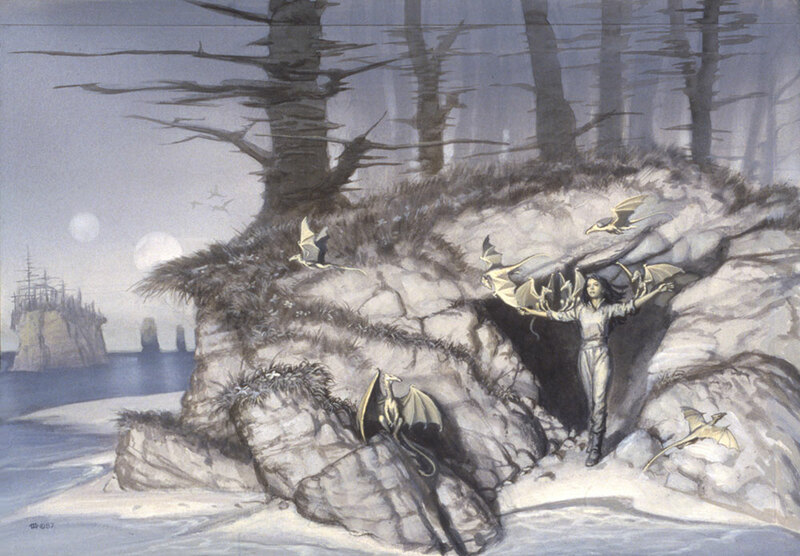 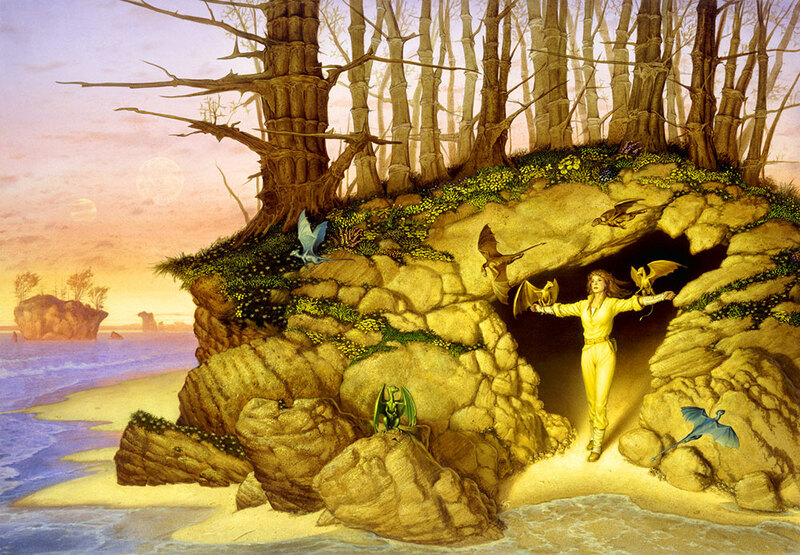 Anne McCaffrey loved Michael Whelan’s covers—and so did the fans. 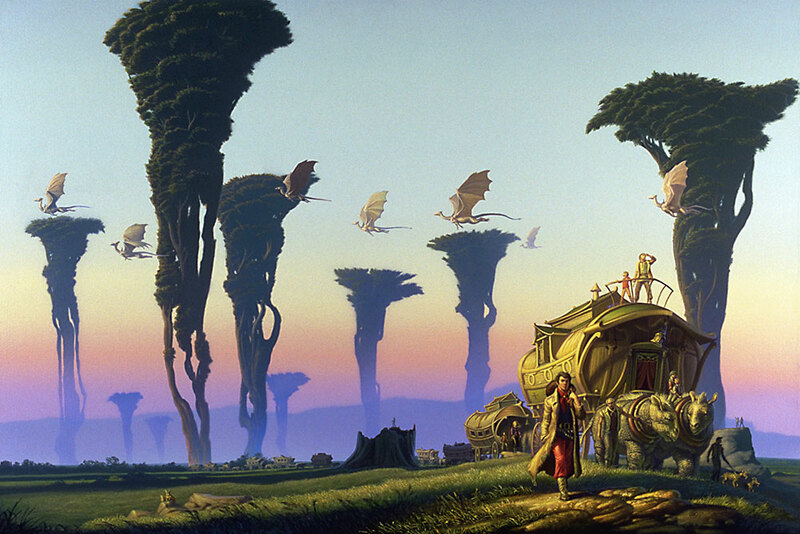 One of the things that sets Michael Whelan above some other cover artists is that he reads the books before he illustrates them, and that brings a level of detail to his covers that really makes them shine. 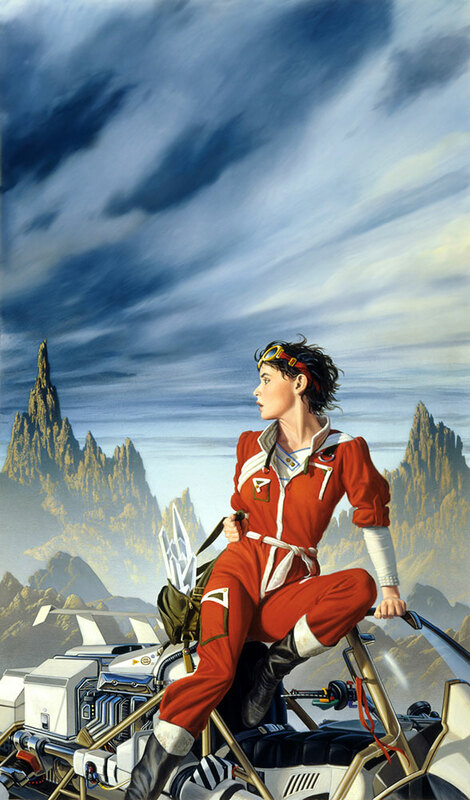 Mum once said that “those beautiful covers sold the books,” and she was forever grateful to Michael Whelan for them. 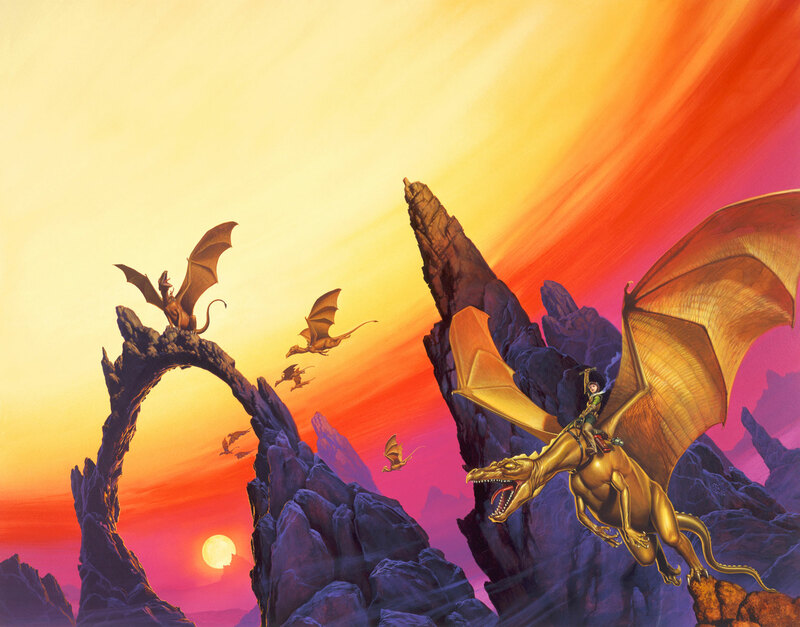 It’s both fitting and an honor that Michael agreed to do the cover for Dragonwriter: A Tribute to Anne McCaffrey and Pern, surely the last for the Dragonwriter of Pern. 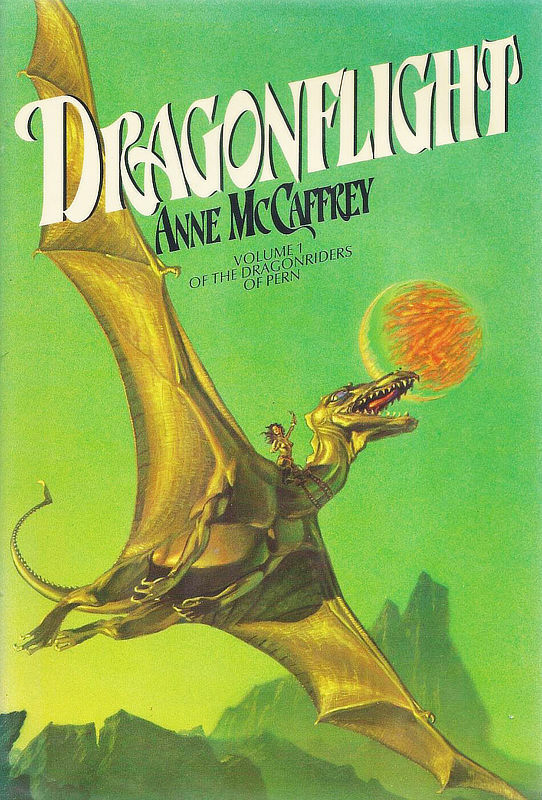 Author & co-author with Anne McCaffrey of 9 Pern Novels. His most recent book Dragonwriter: A Tribute to Anne McCaffrey and Pern is available in trade paperback from SmartPop Books. 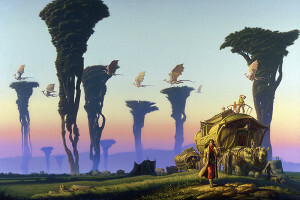 Visit Todd on PernHome.com. It was like winning an illustrator’s lottery to have the opportunity to contribute to such important and popular books as Anne McCaffrey’s Pern novels, books that were both a joy to work with and which inspired some of my most popular cover paintings. 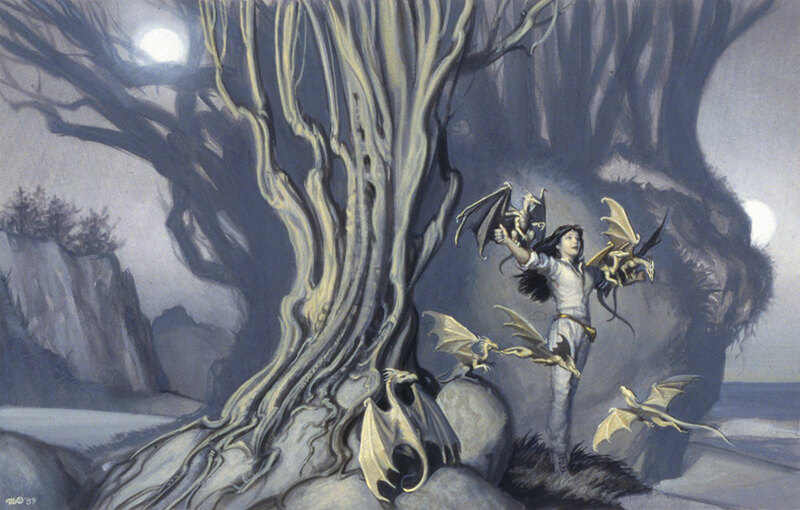 Anne’s generous and steadfast enthusiasm for my work through the years is something I will always treasure. 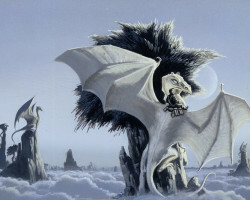 “When Judy-Lynn Del Rey told me that she had commissioned Michael Whelan to do the covers of the new editions of the Dragonrider of Pern books, I had the temerity (all for the love of dragons) to write him what my dragons aren’t (like scaled, fanged, eared and snake-long in the neck). 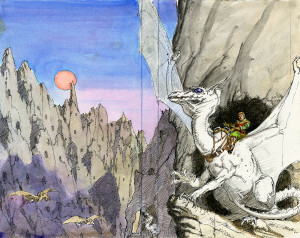 In spite of my nervous interference, Michael has produced magnificent illustrations of what dragons are! 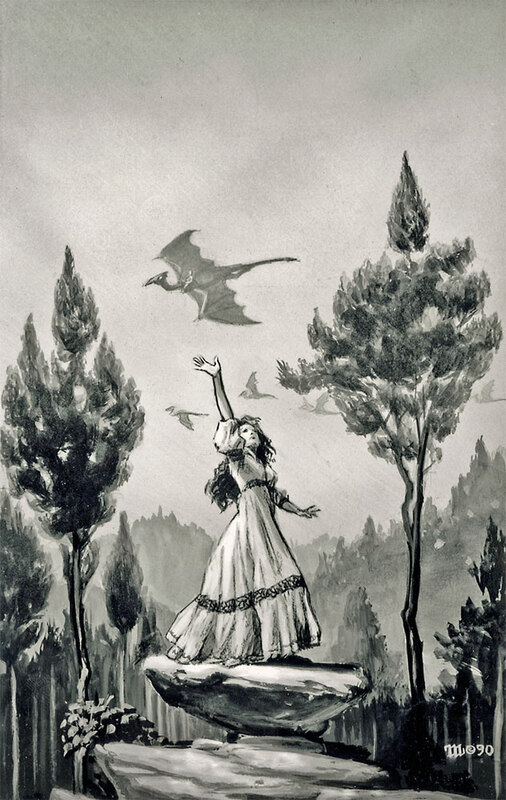 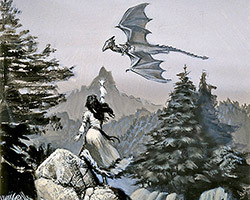 Anne’s first novella about the planet Pern appeared in Analog magazine, and its legendary editor John Campbell often urged her to put the dragons in combat, searing Thread from the skies. 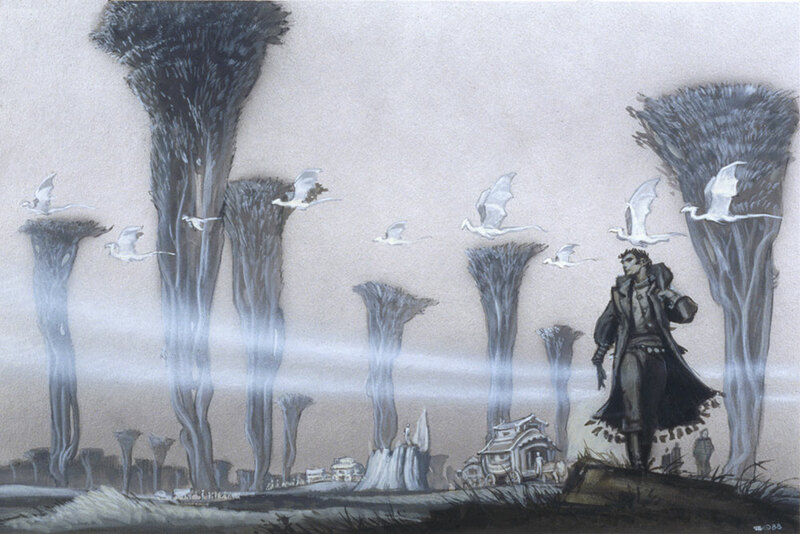 Thread is a corrosive and devastating alien life form which falls from the Red Star and burrows its way into the soil, destroying all life and making the soil unusable. 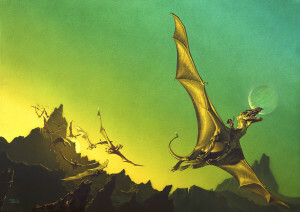 The humans who colonized Pern genetically altered the native fire-breathing dragons so they could ride the dragons up into the sky and burn the Thread before it could fall to the surface. 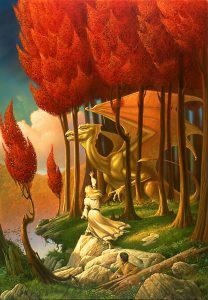 This made an exciting cover scene, but Michael found out later that Anne visualized Thread falling as straight strands of spaghetti, whereas Michael painted it as squirming ribbonlike things descending in clumps and tangles. 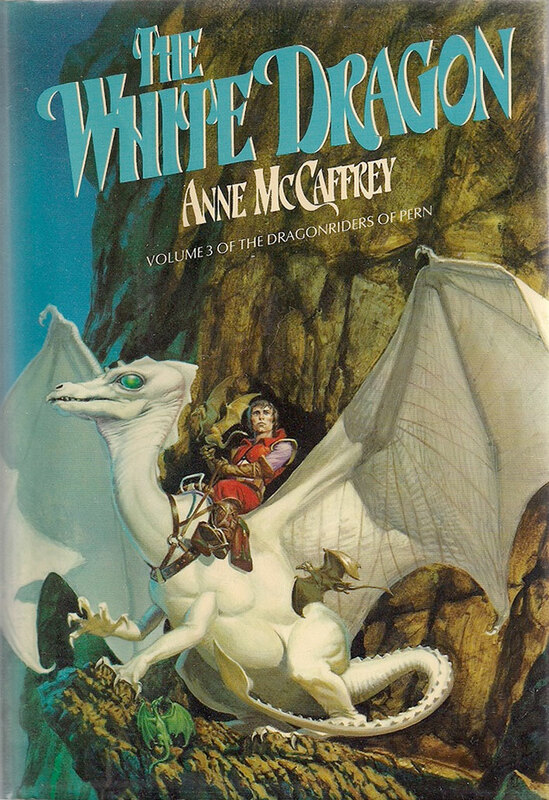 “The White Dragon is the cover! For starters, it stands out in any bookshop window, that proud white dragon with his handsome young rider. Just examine that cover closely and see how much Michael has managed to illustrate. 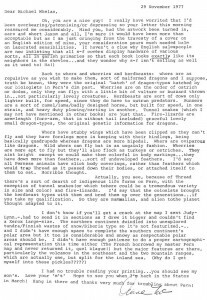 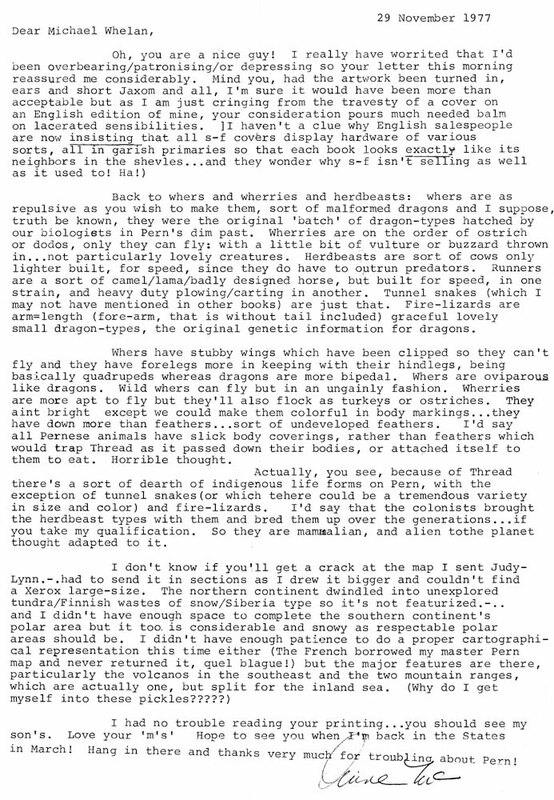 “He has subtly touched on the ambivalence of the hero’s position, hinted at his strength of character, clearly depicted the dragon’s beauty and size, added the darting curiosity of the fire-lizards haunting dragon and rider, the rough, harsh landscape of the beleaguered planet Pern, and the significantly distant figures of the dragonriders silhouetted against the dreaded Red Star. Someone pointed out recently that Anne showed us powerful female characters who could “do things” – and Killashandra does. 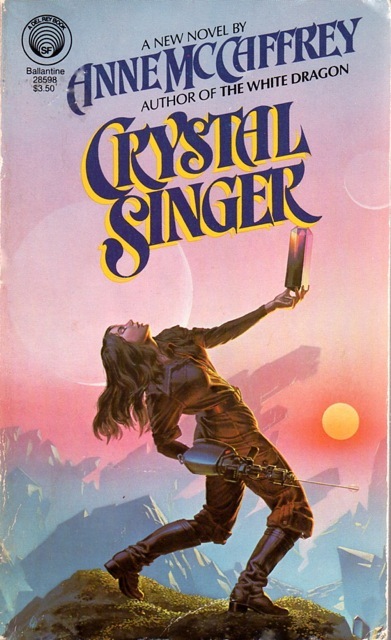 In Crystal Singer, crystalline rock is essential to communications systems and power for interstellar travel. 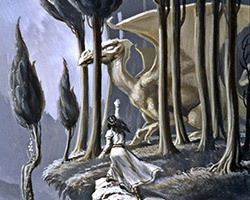 Only the Guild “singers” can locate the crystal and cut it with voice-controlled machinery. 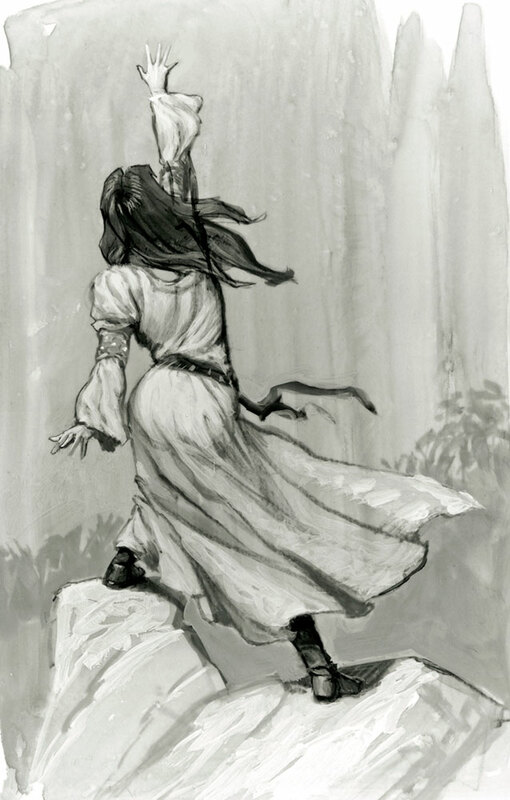 Killashandra’s ability to sing perfect pitch helps her to advance quickly in the guild and in this emotionally charged scene she is transported into a sort of harmonic ecstasy via the black crystal. 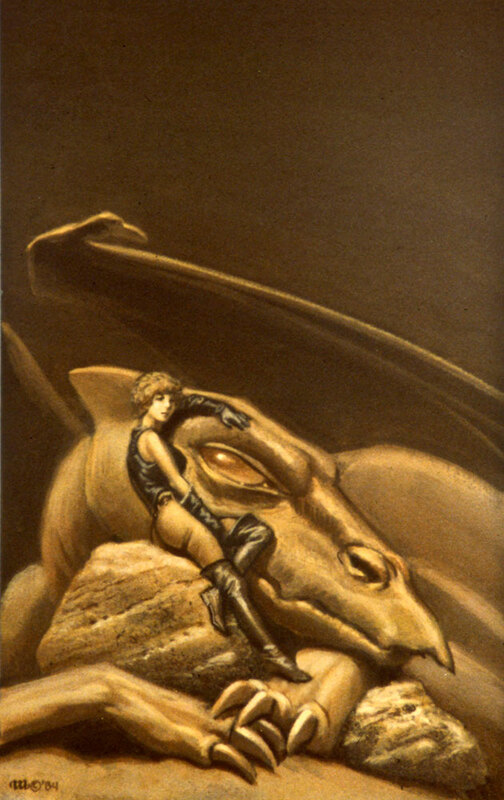 So that he could get her pose the way he saw it in his mind, Michael hired a model. 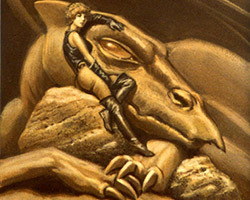 It was a difficult position for the model to maintain, but well worth it. 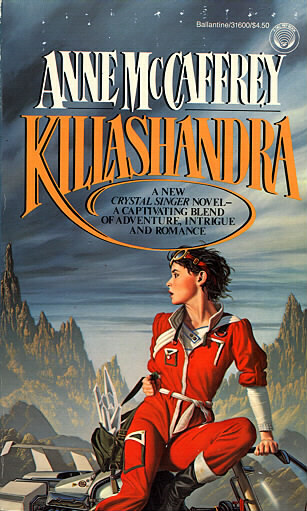 Killashandra was a strong protagonist, and the pose needed to reflect that. Moreta is set 1000 years prior to Dragonflight, and her story was later immortalized in song because Moreta is the brave heroine racing against time to save the humans from a deadly disease threatening to wipe out life on Pern. For the six weeks prior to doing this cover, Michael had his painting hand in a cast due to an injury in his Karate class. 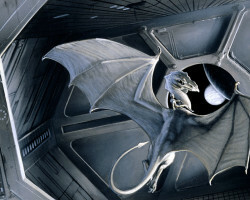 Now that the cast was off, he wanted to use large sweeping motions. 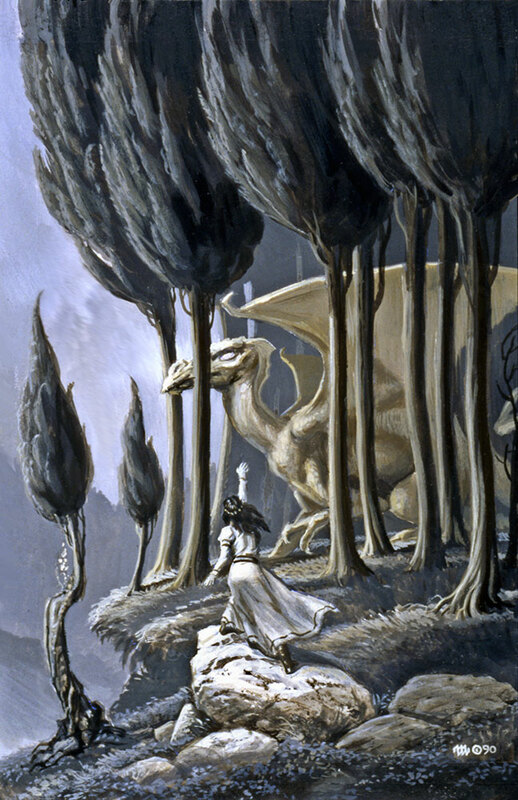 So Moreta became the largest of the Pern paintings – it is more than twice the size of the earlier covers. 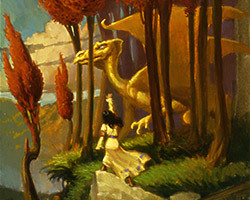 It’s bold colors and thrilling scene show the dragonlady and her pregnant dragon in action. When a book has a character as interesting and well delineated as Killashandra, sometimes the best cover approach is simply to render an accurate portrait. 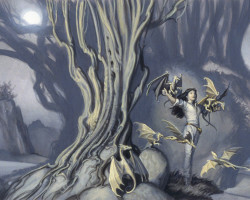 But she is a bold and daring character and Michael wanted the prospective reader to feel that sense of adventure. 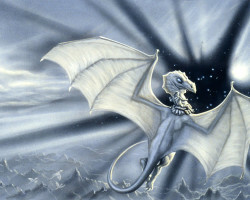 Killashandra is sent to the planet Optheria to install new White Crystals into that world’s largest Organ. 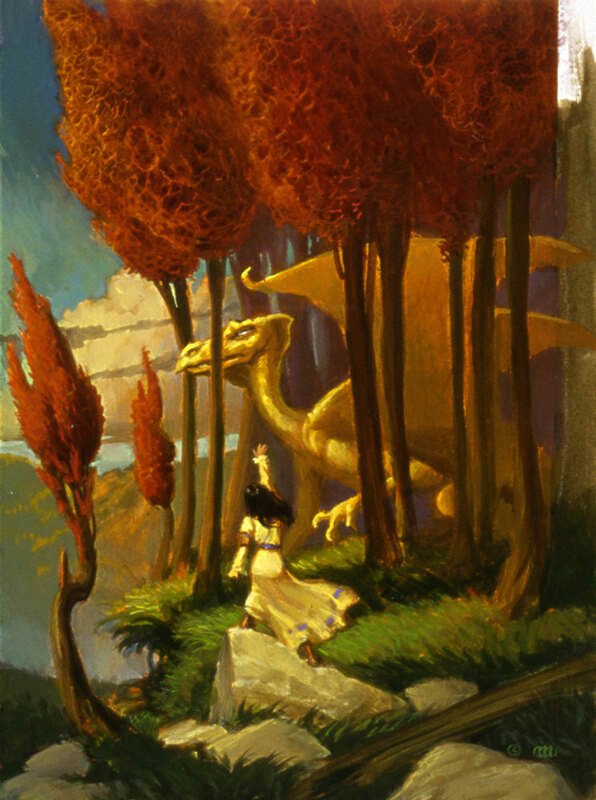 It is a mysterious instrument which engages all senses of the listener. 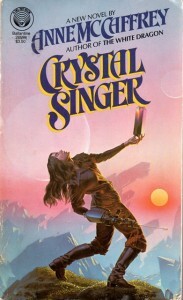 This was a central part of the story, but Michael had featured the heroine and a crystal in a mystical pose on the first cover and didn’t want to repeat himself. 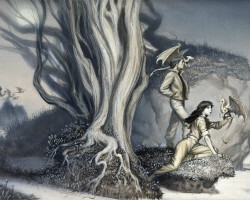 In another part of the story she is left on a deserted island, but in all the sketches featuring those scenes, she looked like a female Robinson Crusoe. 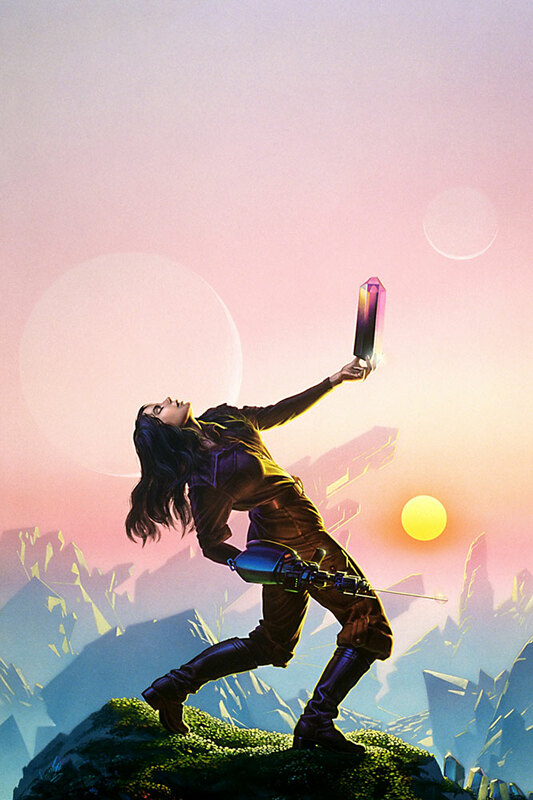 Cover art is often a balancing act! 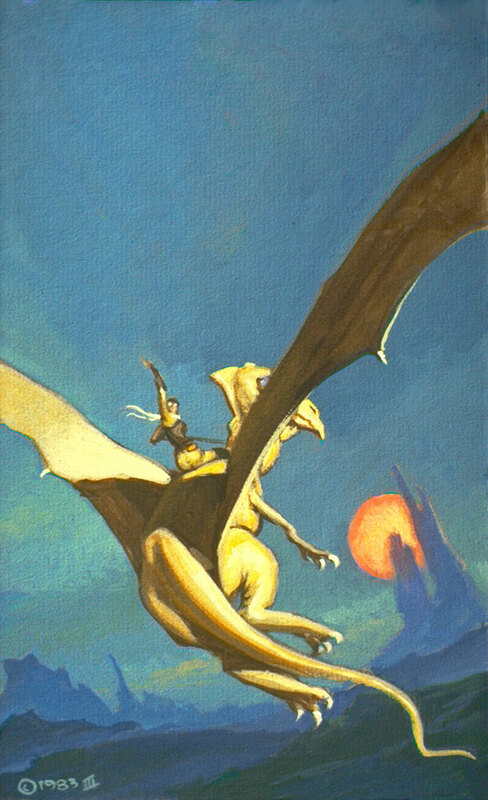 This was the first cover in the Dragonriders of Pern series to feature the beloved fire lizards and Michael really enjoyed painting them. After he finished the painting, he had a vague sense of an unease so he didn’t send it off to the publisher before leaving for the World Science Fiction Convention in Brighton, England. 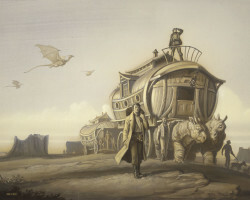 While there, the Whelan family took a side trip to the fabulous beaches in South Wales. 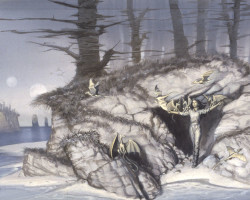 Standing in the water, he looked back at the shore and realized a flaw in the painting still sitting on his easel at home. When he got back to his studio, he repainted the water and then sent it in. There’s no substitute for studying the real thing. 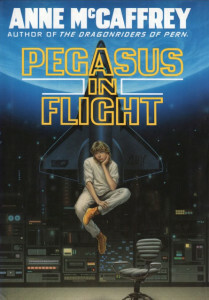 When he started the cover art, Michael wished he could be a renegade! 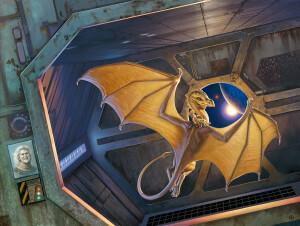 He was in a frenzied state trying to finish it before the impending birth of his son, but he tossed out his first attempt 10 days before the deadline and had to start again. 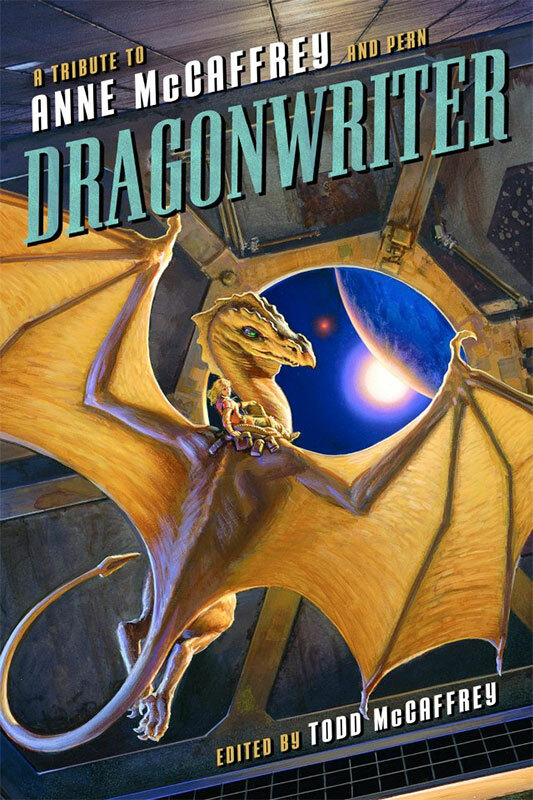 Then he had a dream about this cover. 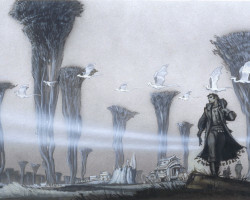 The trees came to him exactly as you see here, and he worked the rest of the cover design around them. 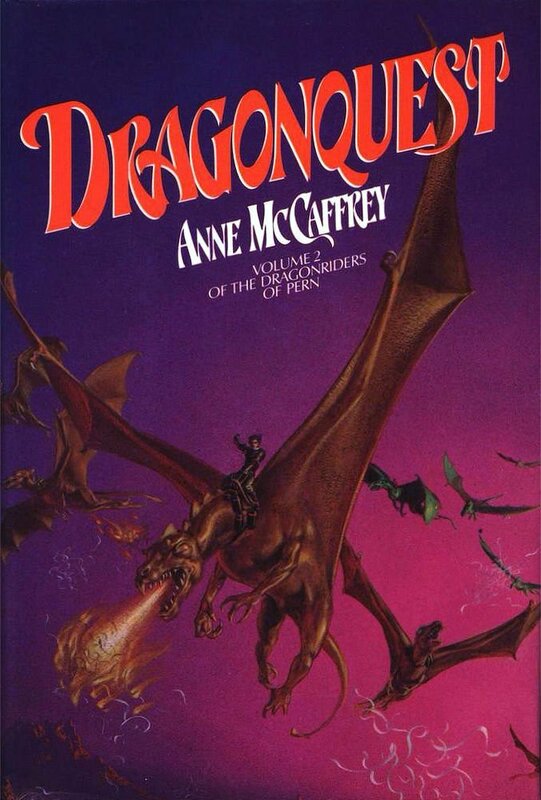 Luckily Anne McCaffrey liked them too and bought the original. 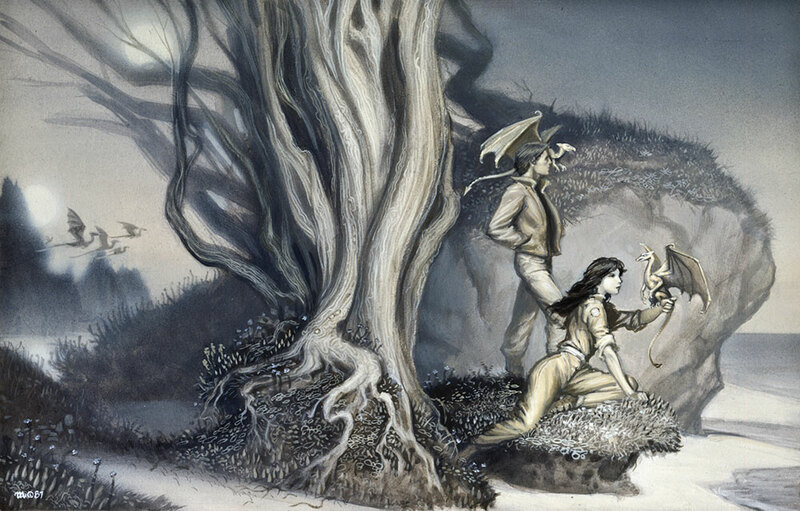 This was a rare instance (especially with Anne’s books) when Del Rey dictated what they wanted on the cover and Michael didn’t get to read the manuscript. 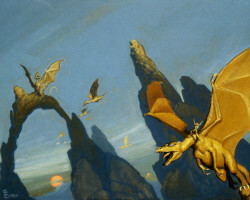 To his surprise, the painting had to feature a paralyzed teenage boy. 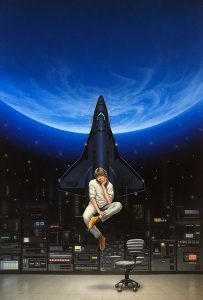 They gave Michael a brief overview, explaining that the world had too many people and that the psychically-gifted “Talents” who could move objects with their mental powers were required – and exploited – to build a space station to serve as a springboard to the stars. 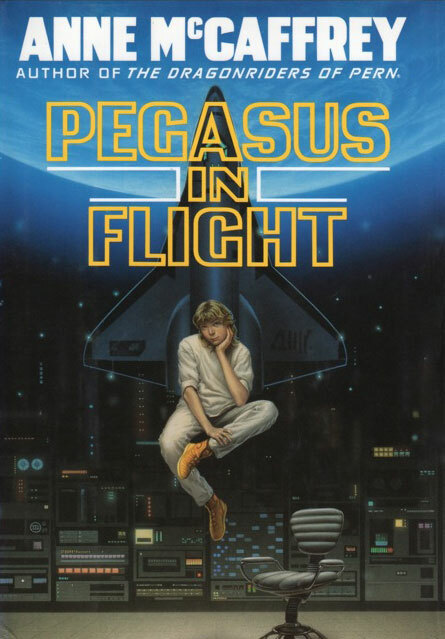 The teenaged Peter had the most powerful mental abilities on Earth and he overcame paralysis to develop the first gestalt with electrical generators (this became the basis for future space travel). 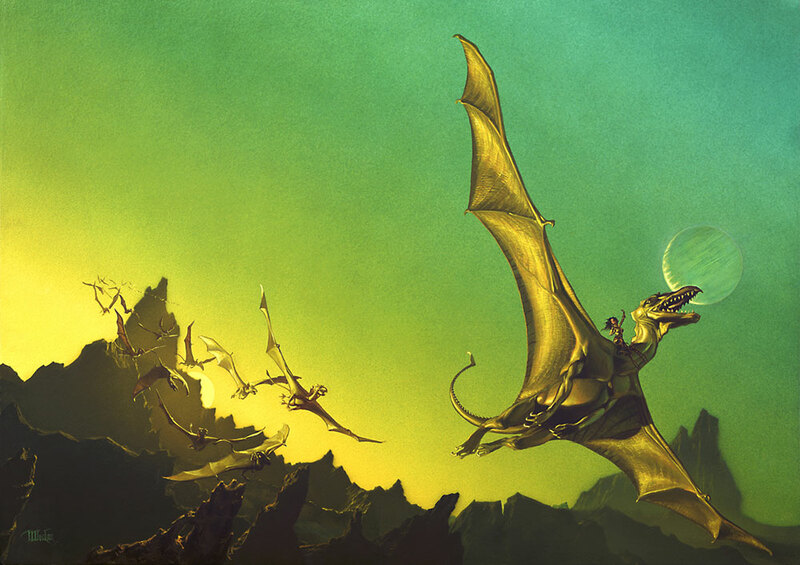 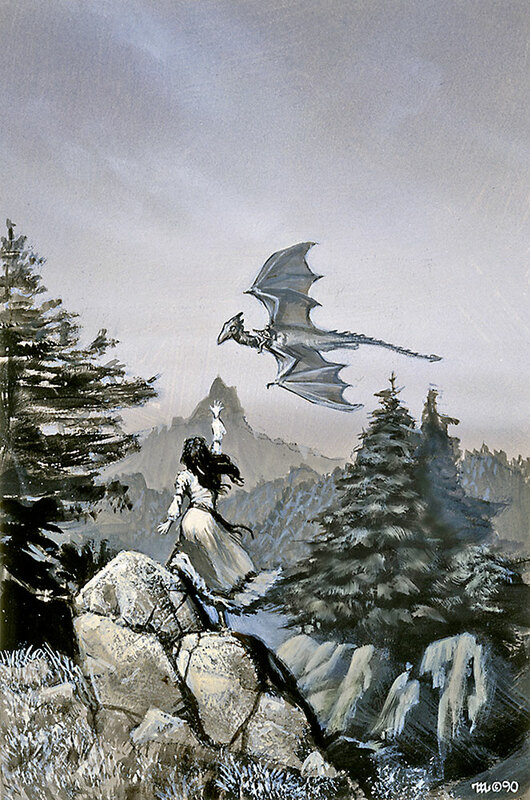 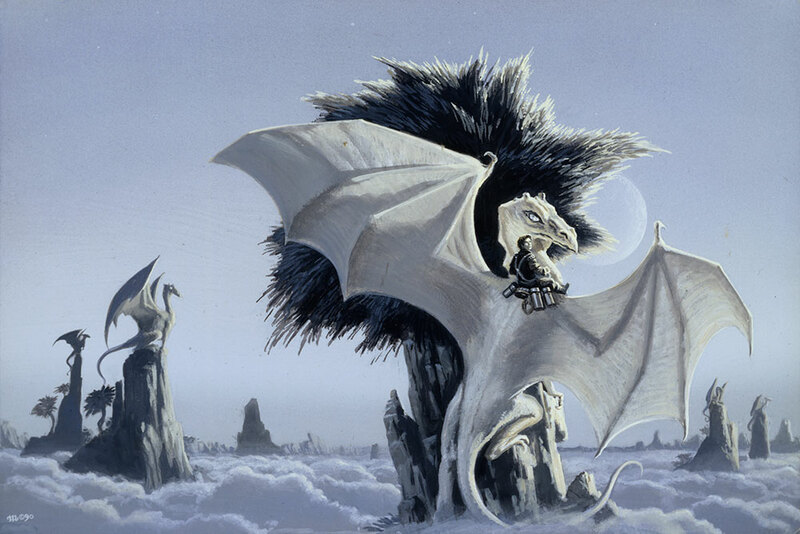 Michael Whelan’s cover art for ALL THE WEYRS OF PERN by Anne McCaffrey is a wonderful dragon image for both the story and the dragon fan who hasn’t read the book. 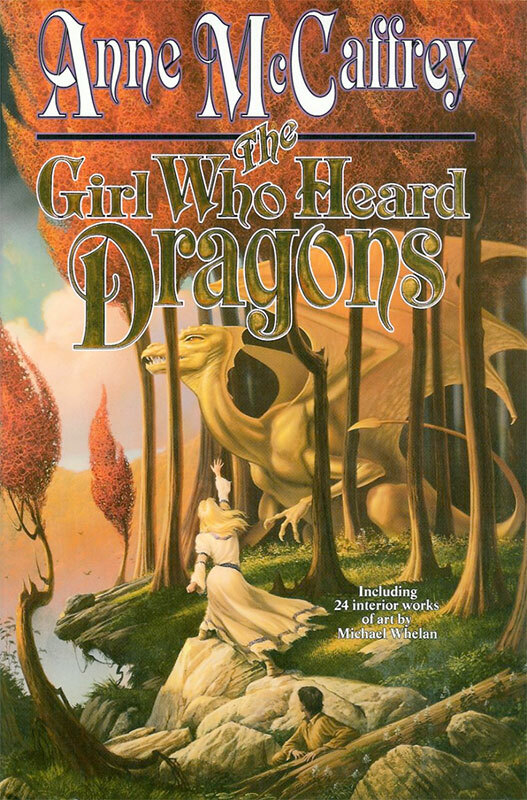 After the huge success of THE WHITE DRAGON the Pern series was growing, but when it was time for Book 7 Michael had a scheduling conflict. 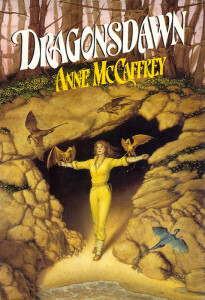 He had to base his cover art on Anne’s synopsis of what she was planning to write as she hadn’t finished the manuscript. 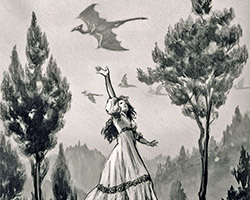 She ended up liking the “conference in the clouds” scene so much, she wrote it into her story. 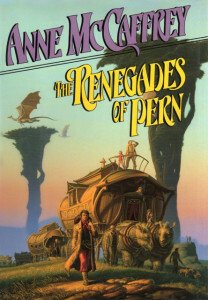 This was to be his last cover for the Pern books, but Michael and Anne remained good friends until her passing in 2011. 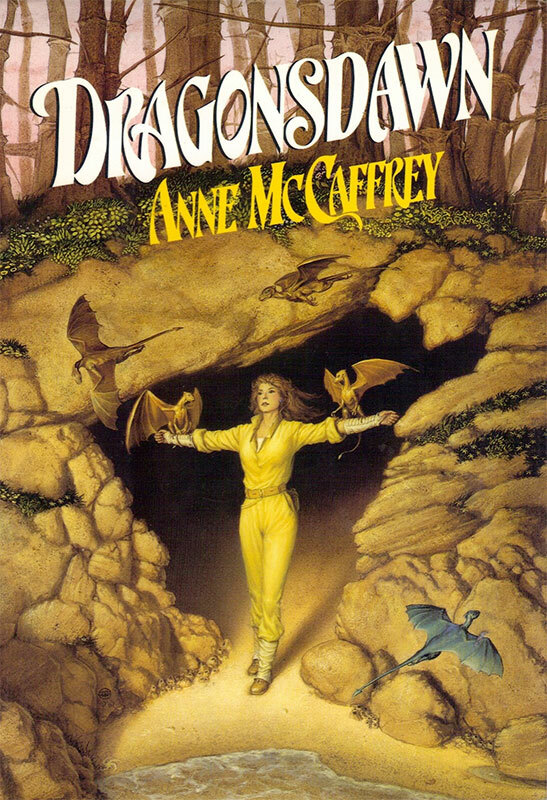 The Girl Who Heard Dragons is a collection of Anne McCaffrey’s short fantasy and science fiction, mostly published in various magazines or anthologies. 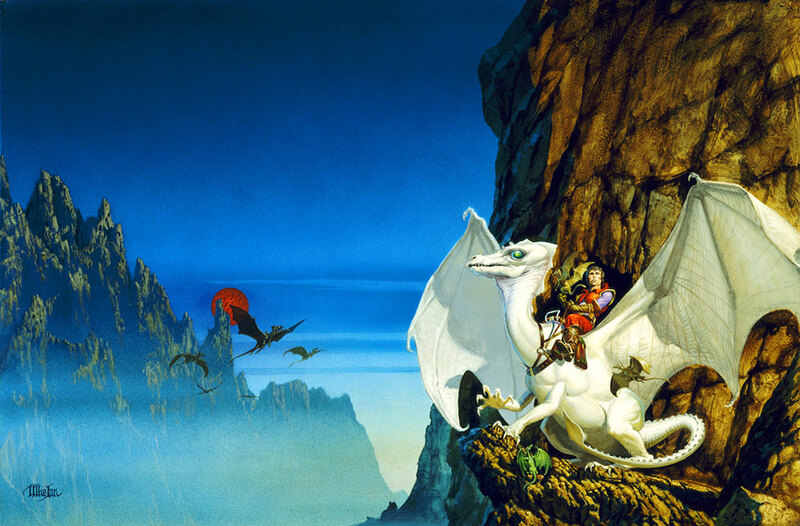 The title novella is part of the Dragonrider of Pern series, but the rest of the works are not. 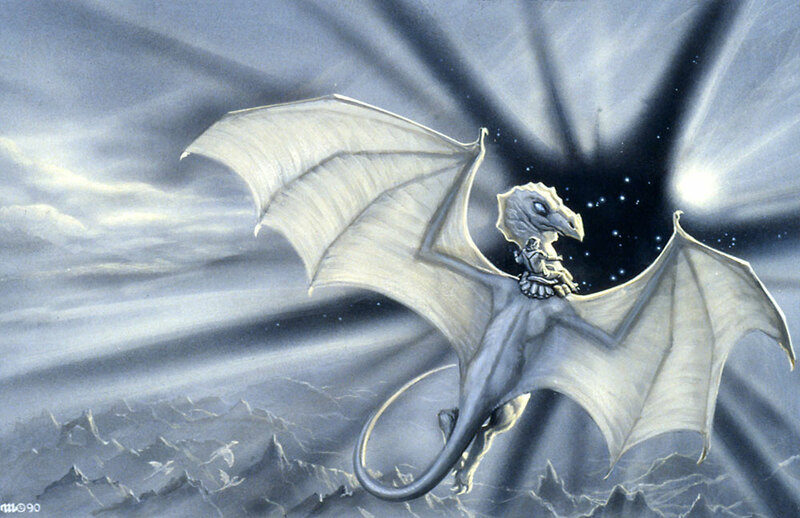 Since Michael was long associated with Pern dragons, he was asked not only to do the cover, but also to supply interior artwork. 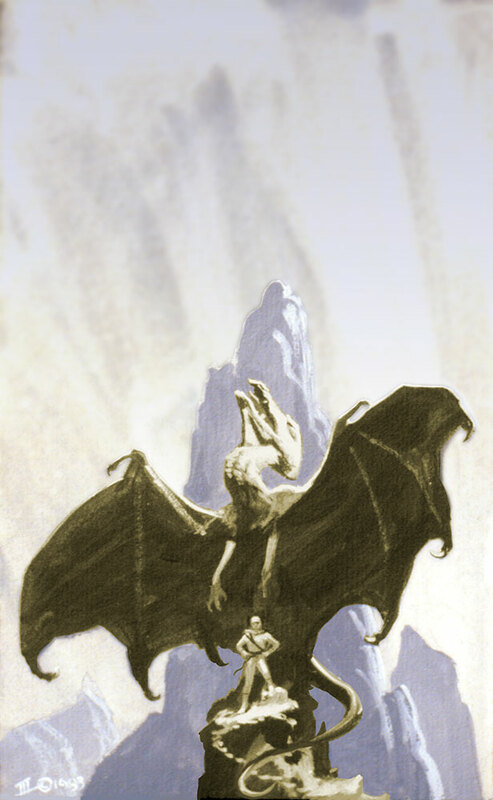 Michael gave a pile of slides to Tor Book’s editor who chose the 24 drawings to include. 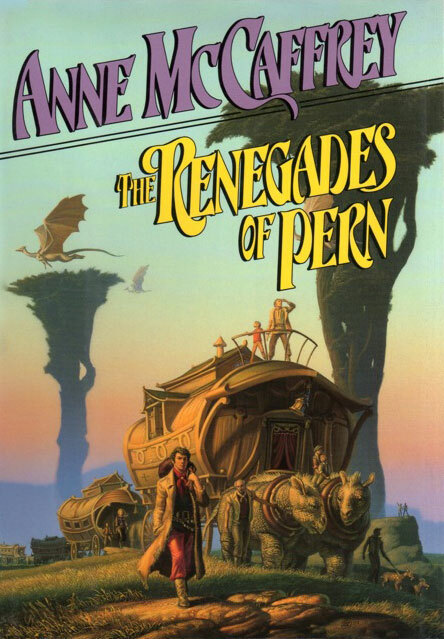 Anne often reminded readers that her Pern series were science fiction novels and this was a scene that she wished could be on the cover of ALL THE WEYRS OF PERN. 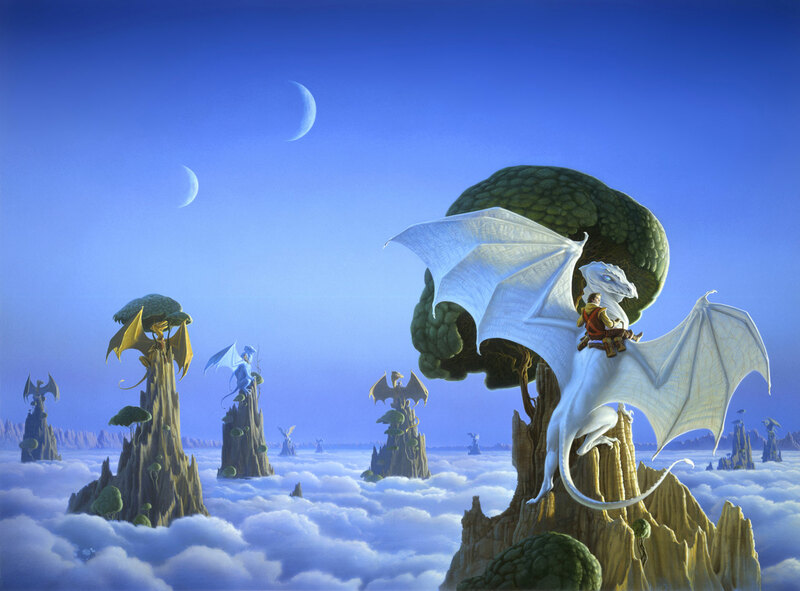 Michael did a tight preliminary called “In the Cargo Hold.” He was ready to do the full-size painting, but he had a dream in which he envisioned the dragons having a conference high up in the clouds. 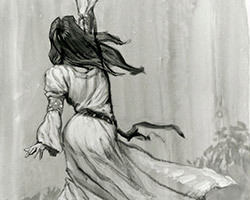 He told Anne about it and she liked it so much that she wrote the scene into her story and that’s what became the cover. 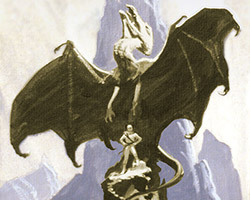 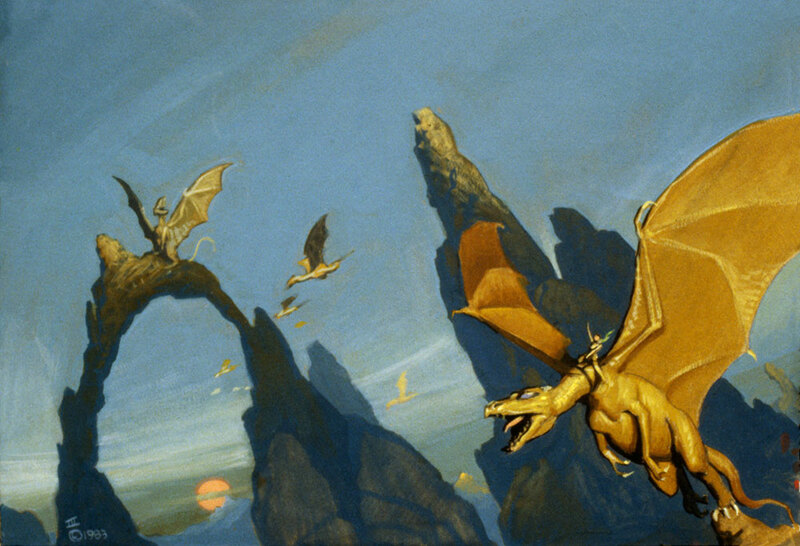 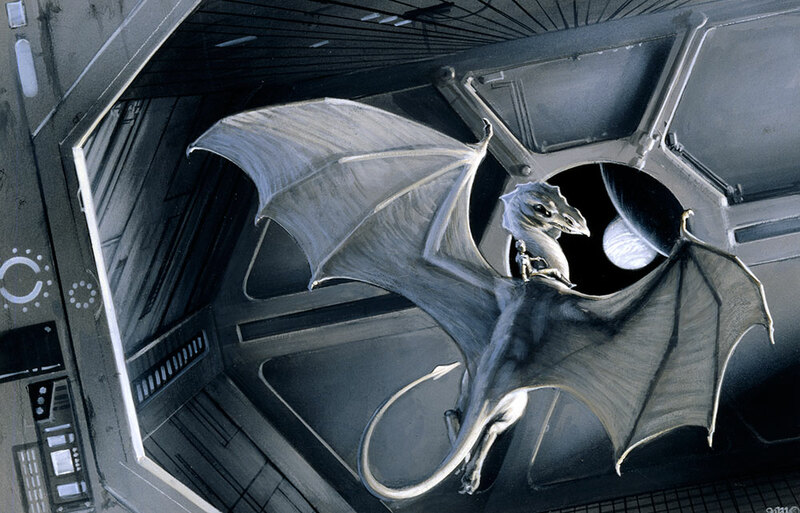 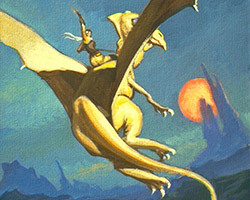 The new tribute book to Anne McCaffrey seemed like the perfect time to realize the final painting from all those years ago, and IN THE CARGO HOLD became DRAGON ABOARD – with his dear friend Anne appearing on the video screen.